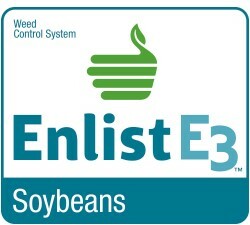 The Enlist E3™ soybean trait provides tolerance to new 2,4-D choline in Enlist Duo® and Enlist One™ herbicides, as well as glyphosate and glufosinate herbicides. Enlist Duo® herbicide is a combination of new 2,4-D choline and glyphosate, a convenient blend for control of tough broadleaf and grass weeds. Enlist One™ herbicide is a 2,4-D choline product offering the same excellent broadleaf weed control with greater tank-mix flexibility, including the ability to tank mix with qualified glufosinate products. The LibertyLink® soybean system provides a unique tool for managing glyphosate-resistant and tough-to-manage weeds. 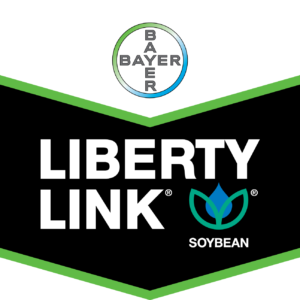 LibertyLink® soybeans combine high-yielding genetics with outstanding crop safety through built-in tolerance to fast-acting Liberty® herbicide. Liberty® is the only herbicide with a unique Group 10 mode of action. Roundup Ready 2 Xtend® soybeans combine the proven yield potential of the Genuity® Roundup Ready 2 Yield® soybean trait, along with tolerance to both dicamba (Group 4) and glyphosate (Group 9). Genuity® Roundup Ready 2 Yield®, which is a key component of Roundup Ready 2 Xtend® soybeans, has been shown to produce more beans per pod and more bushels per acre vs. original Roundup Ready® soybeans.